Very few musicians can claim to have been a member of a seminal musical group. 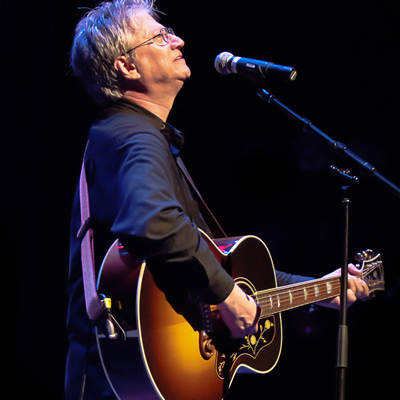 Ohio-born, Rock & Roll Hall of Fame member Richie Furay can lay claim to being a founding member of not just one but two of rock music’s most revered, influential and groundbreaking bands: Buffalo Springfield and Poco. Both bands left a rich legacy of innovation, experimentation and creativity unequaled by their contemporaries. In the 1960’s the Buffalo Springfield lit up the Sunset Strip with their distinctive blend of folk and rock, boasting three strong singer/songwriters in one band: Stephen Stills, Neil Young and Richie Furay. This creative powerhouse was the envy of all their Sunset Strip competition. While “For What It’s Worth” has become a 1960’s anthem, their three albums, recorded over a mere 18 months, were brimming with outstanding original material. Richie’s clear clean vocals marked him from the outset as the band’s lead singer who also lent his voice to many of Neil Young’s early compositions. Richie was also the calming voice of reason between two powerful individuals, Stills and Young, who vied for dominance of the Springfield. When the Buffalo Springfueld finally imploded in 1968 from the simple fact of too many egos and an overabundance of talent, Richie Furay and bass player Jimmy Messina set about blending rock and country music, a risky proposition given the hippie world’s disdain for country music. What they created with Poco was nothing less than an entirely new genre of rock music, country rock. While contemporaries like The Byrds and Flying Burrito Brothers were content to merely mimic country music’s affectations, Poco succeeded in marrying the two formerly disparate styles into an effervescent, exciting and groundbreaking style driven by the stellar singing and songwriting of Richie and the innovative pedal steel guitar playing of Rusty Young. Poco set the original template that others would follow to greater success. They are the first country rock band. At an Eagles concert in Denver a few years back, head Eagle Glenn Frey pointed Richie Furay out in the audience with the acknowledgement, “If it wasn’t for you, we wouldn’t be here.” High praise, indeed. Despite the acclaim and respect he has rightfully accrued over 5 decades in the music business as both a band member and solo artist, Richie Furay remains the genuine deal: unassuming, easy-going, friendly and immensely talented. And that voice! No one can sing like he can. And if all that isn’t enough, he’s also the nicest guy you could ever hope to meet. VISIT RICHIE FURAY’S WEBSITE HERE.